The matchup you have been waiting for three years for is finally be in the works. This weekend, 39 teams will make the trek to Council Bluffs, Iowa to compete at the ever growing Council Bluffs Wrestling Classic. Two of the teams in attendance will be 3A blue blood Fort Dodge and 1A power Underwood. 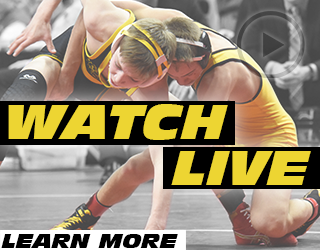 If you pay attention to Iowa high school wrestling you know what that means: Brody Teske vs Alex Thomsen. 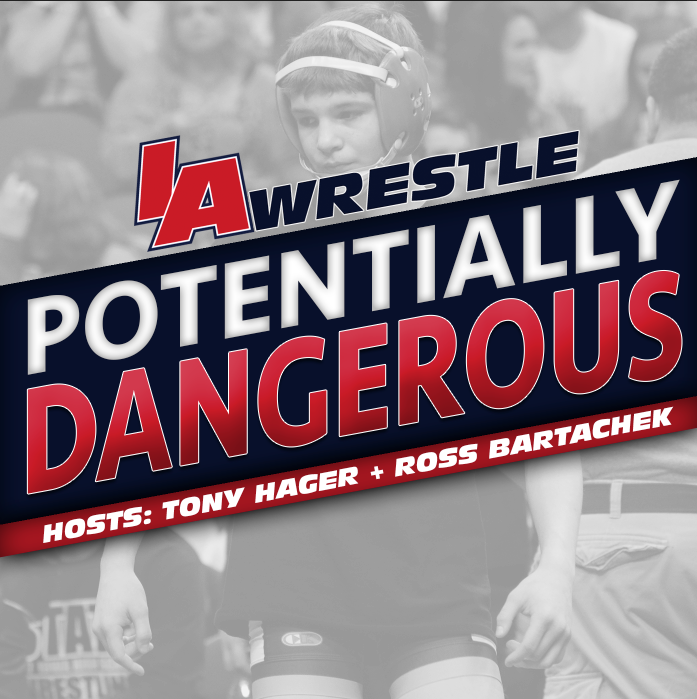 Since their debut as freshmen back in 2014, and won their first state titles later that season in 2015, there has been much debate on the pound-for-pound best wrestler in Iowa and if they met who would prevail. The pair have never competed at the same weight during the high school season. As freshmen Teske competed at 106 with Thomsen up at 113 pounds. Teske continued an upward trajectory going 113, 120, and now 126 pounds. Thomsen on the other hand is spending his third straight year at 126. This year is different. Both sit atop the rankings in their respective classes, and more importantly both recently competed at 126 pounds. This matchup sells itself as there would be a lot on the line if they do in fact meet in the finals. For starters there is the Fab 50 and endless wrestling fan debate. Since the first release of our Fab 50 rankings Thomsen has always held the #1 spot just ahead of Teske. The Fab 50 ranks the top wrestlers in the state of Iowa regardless of age or weight. Through their high school careers these two have been practically even. 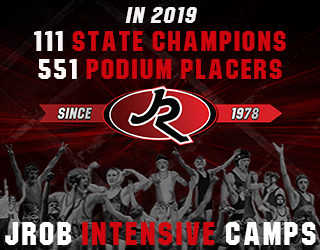 Both entered their senior season three-time state champions and perfect records totally over 130 wins a piece. Outside the state of Iowa, Thomsen holds the edge in credentials. Six All-American honors at Fargo including his 2017 national championship in Greco-Roman, and a top five finish at the nation’s toughest folkstyle tournament, Super 32. Teske’s credentials include a runner-up finish out at Fargo, All-American honors at UWW’s Cadet National Championships, and most recently a fourth place finish at Super 32. Thomsen edges Teske by the narrowest of margins, and it’s mainly due to Thomsen’s volume of national credentials. The other big ticket item these two could be placing on the line was mentioned above, perfection. To this point both wrestlers are undefeated three-time state champions. 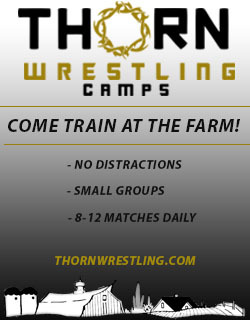 Submitted rosters to CBWC list Thomsen and Teske both listed at 126 pounds. Ya, nearly every wrestling fan in Iowa remembers the hype leading up to theThomsen and West matchup when West was at Highland. Someone either forgot or didn’t remember that 113 pound match. Didn’t West basically have Teske pinned at Independence last year and the refs left the match keep going? LOL. Teske beat him 12-4 last year in the semis. He’s a great wrestler but not anywhere on the level of these two. I haven’t followed high school rasslin in a decade or more, but is this as big as the billing that Jesse Sundell and Mario Galanakis got several years ago? I’d be doubtful. Not a chance! That was a huge deal back in the day. Yes, it was all of the talk. I distinctly remember that J.J. Butteris, state champ from Lisbon, drove several hours just to watch it, as it was held in western Iowa, I think where Galanakis was from. Mario wrestler for Nodaway Valley in Greenfield. I believe the match was in Greenfield. I was there and it was something else.